A 'Brand" is a recognisable symbol and/or name that indicates or communicates a conditioned expectation of predetermined characteristics in the mind of an individual. Brand equity is defined as "the value a brand adds to a product"... what it means is "how strongly you can justify a premium price for an easily substituted price". Your business, corporate and consumer brands need planning, monitoring and implementing tailored strategies to build brand value so you profit from, and protect, a sustainable competitive advantage. Brand Loyalty is the quality that gives brands their value. Brand Loyalty comes from the buyers' trust in a brand - the true brand strength is trust, because trust means growth potential. Brand Management is much than just faithful replication of an image - Brand Management is caring for your greatest asset: Brand equity! Strong Brand Equity is a source of sustainable competitive advantage to the company's products and services portfolio. Strong Brand Equity ensures a strategic marketing advantage and represents a long-term investment with high ROI and huge benefits for the company. Corporate Brand Equity is the recognised corporate identity that communicates your company ideas, values, beliefs and offering. Strategy to manage your most valuable assets - your brands & brand equity. It is prudent business sense to make branding decisions with advice from leading edge strategy experts who combine market research, strategic marketing models, marketing planning, new product development techniques, strategic marketing and corporate image issues management, to create bullet-proof brand management. You will enjoy sensible, insightful and profitable brand management decisions that cover brand portfolio, brand extensions and other strategic branding issues in which your consultants are qualified, and trained, to manage. Launch Engineering uses proven methods to assess your brand potential. Clients enjoy full marketing assessment including brand position, sustainability of competitive advantage, market segmentation study, and brand equity optimisation recommendations. Understanding your brand's dynamics improves communications efficiency and cost effectiveness, increases sales and builds a stronger brand. Ask a Launch Engineering consultant to develop a Brand Audit & Assessment to suit you. 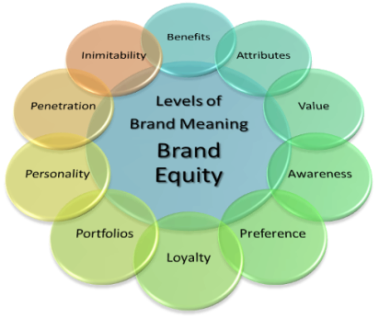 What do your brand equity trends indicate? Do you have impending or growing negative brand equity? It is strategically imperative that you understand the financial impact and contingent scenarios of marketing implementation on your brand/s. Valuation of brand equity helps establish realistic forecasts, timescales, potential savings and viable rollout options. A brand can be a good, or a bad thing... it is brand EQUITY that counts. Brand awareness, brand liking & intention to buy a brand are NOT the same thing. It is crucial to consider brand equity trends at the planning stage of any rebranding process. Why invest time and significant costs in brand planning and creative, only to find out that the brand has become a liability rather than an asset?. Do YOU have negative brand equity? Rebranding can be very expensive and often requires high-level management approval. The cost of re-branding, consultants and design, compared to the cost on going support or re-launch must be carefully considered. You can prosper with insight into the pros and cons, and strategic advantage, before you make a decision. Knowledge is power. Before you can develop a realistic plan you must first establish what needs to be rebranded and the likely impact on your company in terms of brand equity issues, investment, timelines and organisational effect. Turn Brand Equity into Strategic Advantage for profitable growth & market share. Increase brand loyalty, brand awareness and brand value: A rebrand assessment will empower you with the best approach to deliver brand consistency within time and cost parameters, revealing brand touch points, determining realistic budgets and workable timelines for phased and full scope branding implementation. Brand proposition can make the difference between success and failure. Building brands is 90% science, 10% art. If you rely on market research for your decision making, make sure it is market research you CAN rely on. The LAST thing on your list should be to brief a design agency or graphic artist for the logo. Logo change should only EVER occur if it will measurably improve brand equity. Beware of over-extending a brand. Scientific Strategic Branding (using university proven methods in Brand Portfolio Strategy, Brand Value Management, Branding Strategy, brand extension, brand image, brand life, brand identity, corporate branding, sensory branding, neuro-marketing) is ideal for major companies, market share leaders and older, established large national & international organisations. Changing the corporate brand influences your business as much as changing your business influences your brand. Brand loyalty and positioning can create unyielding attitudes and beliefs - turn these into opportunities with advanced brand equity control. Brands have a life cycle. Make the most of this by recognising brand decay before it costs you sales & profits. Too few organisations take a refined approach to branding & brand management. By appointing a leading edge brand strategist, to refine and sophisticate your strategic branding decisions, you can ensure optimal sales results, market share dominance, and profitability... Ask for more information, call 02 98011 4355 now. Branding is NOT the domain of a design agency. To increase profits and ROI along the brand existence chain businesses need to build strategic foundations for brand creation, naming, brand propositions and brand experiences across all customer touch points. You should always seek the right advice to help you brief a design agency, so they can do something fantastic for you, but the strategy behind your brand calls for different expertise. There are over 100 pages on this site, dealing with everything from Distribution strategy and Pricing, down to detailed information on Market Research, Marketing Planning and great advertising.